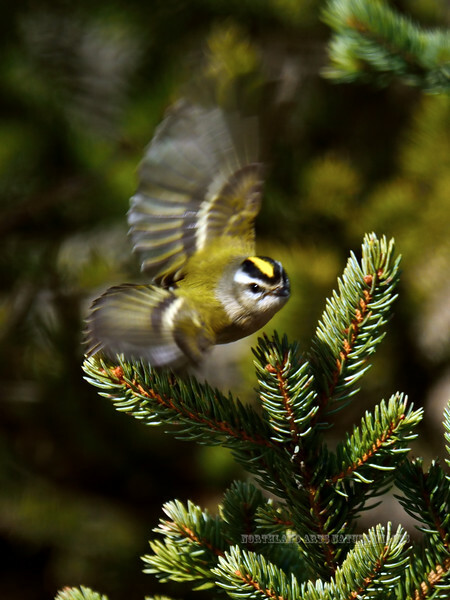 Kinglet, Golden-crowned. A brightly colored spring female. South Central, Alaska. #413.118.